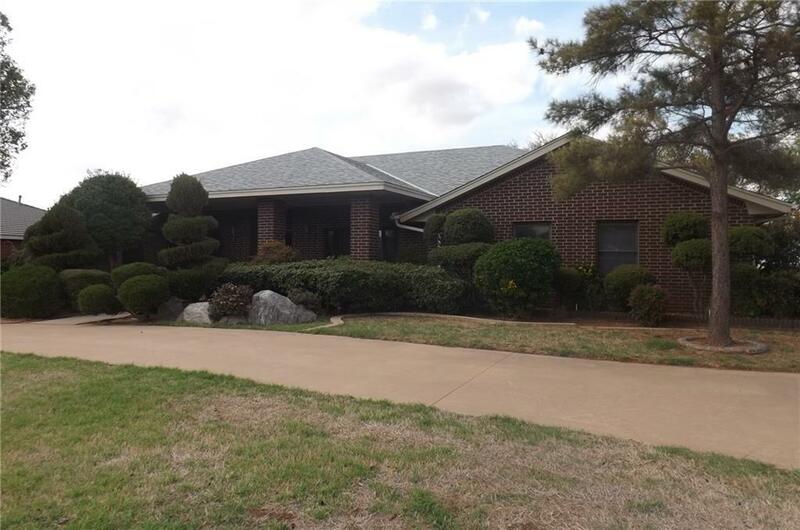 401 Pheasant Circle, Altus, OK.| MLS# 817052 | CENTURY 21 Altus Prestige Realty, Inc. Custom built home with 3 bedrooms ,3.5 baths. Extra large family room with a wood burning fireplace-lots of built-ins. Wet bar & ceiling fans. Formal dining room with built in side board. Formal living area, Very nice office, large utility room, storm shelter you can enter from inside the house. Roof is about 2 years old. Lots of custom cabinets, island, jenn air cook top, Lots of landscaping, lots of large rocks, 3 car oversized garage. Home has bridge & gazebo -seller will remove if buyer wants it gone. Yard has large pond but its doesn't have water in it at this time. Nice circle drive, extra large concrete parking space.